Installing a roof system that saves you money throughout its entire life seems like an extreme no-brainer. If your home needs some roof repairs made to it, why would you pay for a contractor to come out and overcharge your for already over-priced repairs when you could install a silicone roof coating yourself that saves you money both at installation and during it’s life? We don’t know why you’d ever do that. Silicone roof coatings are not only an extremely effective repair tool, they are an extremely inexpensive, cost effective repair tool. Do you have repairs to make to your roof? When you install silicone coatings on your home rather than make costly repairs, you save money because you can install them yourself, you don’t need expensive equipment, you don’t need special training, and you don’t need to pay someone to get up on your roof and repair it for you. You can simply climb a ladder, spend 3 hours roll-applying a silicone coating to your roof, and laugh to yourself every time you see a roof repair truck because you know how much money you saved on your roof. With regards to other roof coatings, silicone coatings are still superior because they require less material than other coatings. This allows you to save money on material and reduce the amount of time you are installing the coating, a nice added benefit. Once you install the silicone coating instead of making roof repairs, you can expect money savings in the form of reduced energy expenses for the rest of the coating’s life. Silicone coatings are extremely reflective, sending up to 87% of UV rays that hit the roof back into the atmosphere. Most non-reflective roofs would absorb around 90% of these rays, which are then converted into heat in your home. By using a reflective roof, you can expect to save up to 30% on your energy costs every year! Those are major savings. 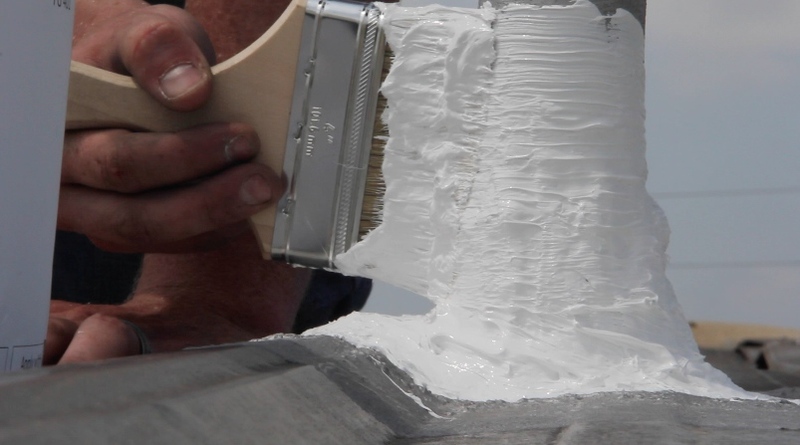 Silicone coatings are less expensive than traditional repair methods, and less expensive than rival coatings when installing them on your roof. Don’t make traditional roof repairs on your home, use a silicone roof coating that will help you save money throughout its entire life.